Sheffield United boss Chris Wilder hailed Wigan Athletic’s bold approach to Saturday’s clash at Bramall Lane, and claimed his side’s 4-2 win was somewhat undeserved. The Blades went back to the top of the Championship thanks largely to a hat-trick from skipper Billy Sharp, with Chey Dunkley also putting through his own net. 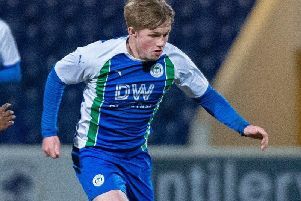 Latics notched through substitutes Kal Naismith and Joe Garner - their first goals for the club - and Wilder thought Paul Cook’s men were unfortunate to leave with nothing. “It’s the old performance over points scenario,” acknowledged Wilder. “For me, from a footballing point of view, I thought we took our goals very very well. “Next time out we’ll need to do a little bit better than that. “Give credit to the opposition though - they came and here and gave it a go, because not many teams do. “I thought they were the better team in the first half, and I thought we were fortunate to go into half-time up. We were better second half. “Maybe we didn’t deserve to win the game. It never felt as though we were in control, we were a bit slack.